On Thursday night I took the red-eye to New York City. The JetBlue fight was uneventful and I was able to sleep a little on the plane. I took the subway Downtown to my hotel, The Marriott Downtown. It took about 90 minutes. I was very surprised when they gave me a room at 9 am. 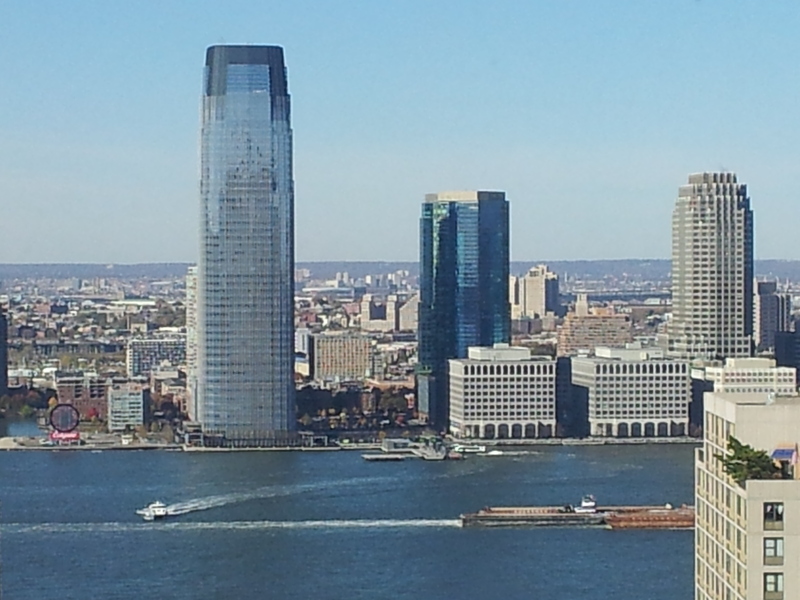 It was a big room for NYC with an amazing view. I drop my bags and headed to a great bagel shop, Pick A Bagel. 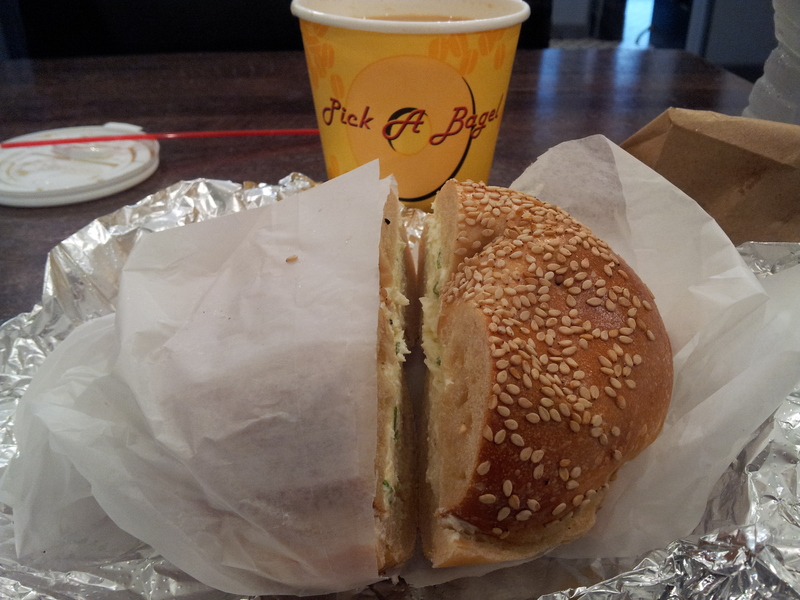 I had a sesame bagel with scallion cream cheese, three mornings. 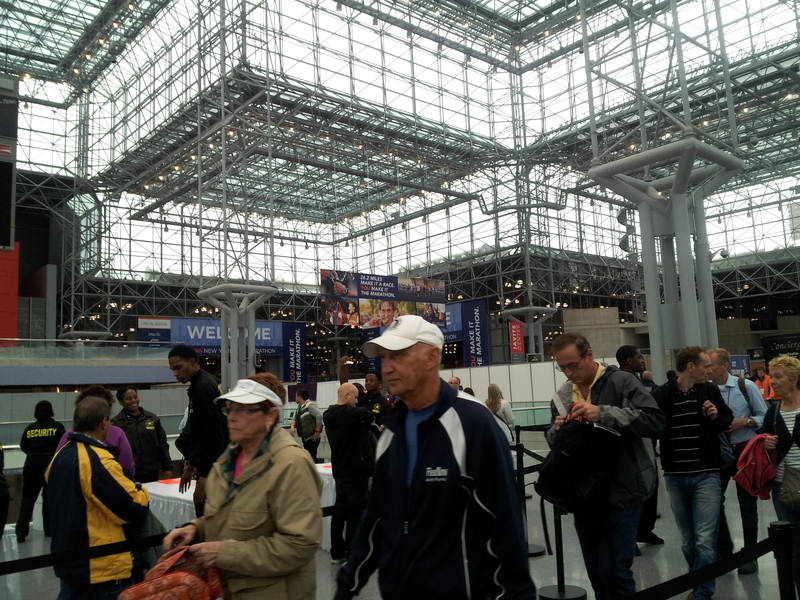 Then I went to the Expo at the Javits Center. The line wrapped around the block but it moved very fast. I was past security, had my number, shirt and Asics purchases within 30 minutes. The Expo was very good, not as big as Boston, but pretty close. 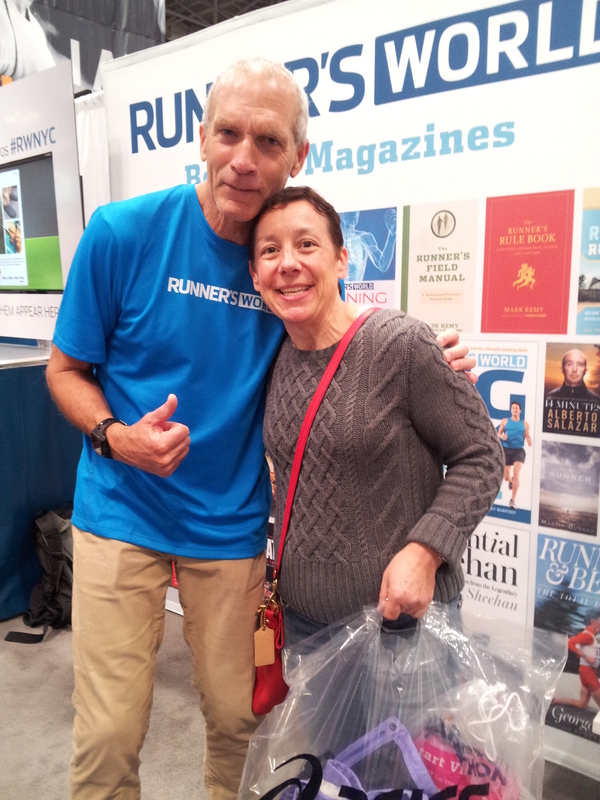 I found the Runner’s World booth and Bart Yasso was there. I will never forget him cheering for me at MCM last year. He was near the finish line right before the last hill and he was clapping and calling out encouragement. He is such an ambassador for runners. After telling him a little of my story he was very gracious and had such kind words for me. I also noticed a buzz around the Garmin booth. They were selling the new 220 and 620 watches. You won’t be able to buy them for a few weeks. I had already planned on this being my present to me for finishing my treatment, and it is also a great reminder from NYC. 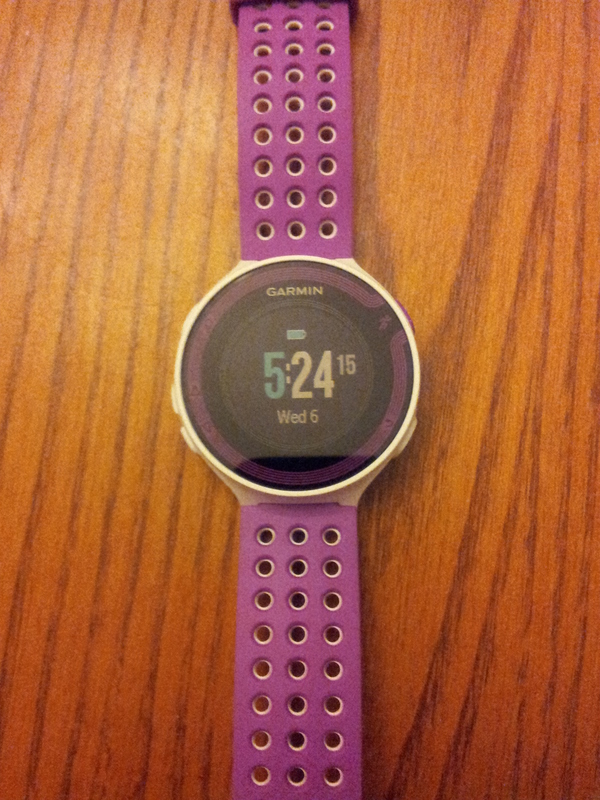 Garmin 220 It is so pretty! 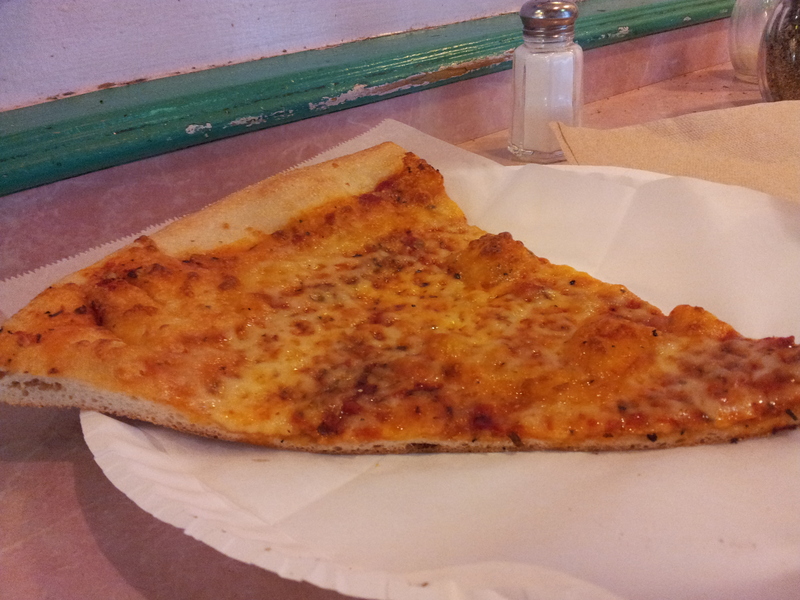 I went back to the hotel for a short nap then to a pizza shop for lunch. And I did some shopping in Soho. My friend Rebecca came in Friday night. We had a light dinner at a sushi place around the corner from the hotel. And planned day 2 in NYC! This entry was posted in Uncategorized and tagged Bart Yasso, New York City, New York City Marathon, Pick a Bagel, Runner's World. Bookmark the permalink. Sounds like you hit all of the must haves in the area! I can’t wait to hear all about the race. Congratulations! 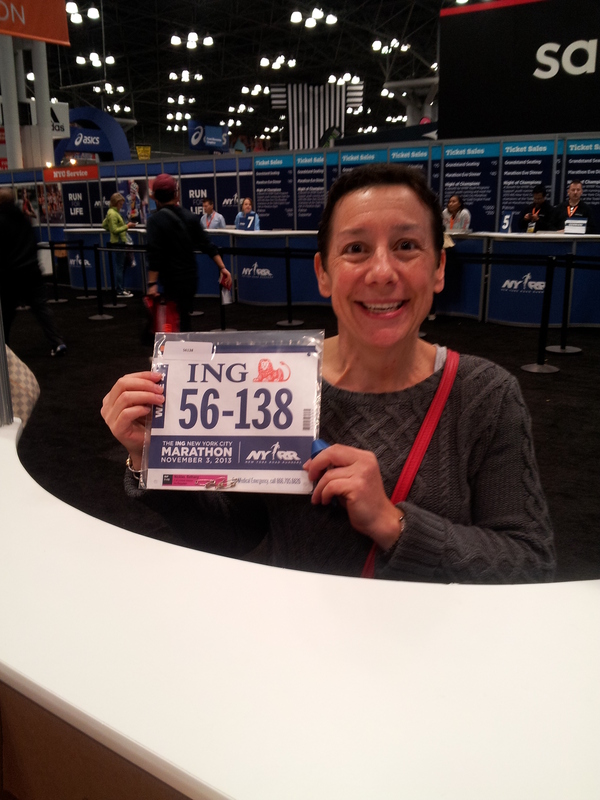 Brings back memories of my day at the expo when I did the NYCM. Looking forward to your race post!! Awesome view by the way! I stayed in the Marriot (It’s in Brooklyn right?) When I ran the Marathon, and I had a great view, but not quite as awesome as yours!! Love it! We were at the Marriot Downtown, right next to the 911 Memorial.